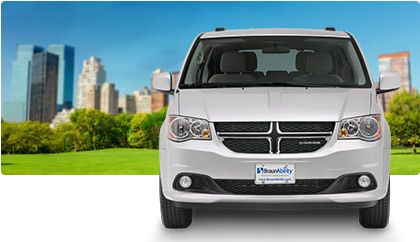 Easy-to-use is the highlight of the Dodge or Chrysler Power and Manual Rear-Entry. The new 34″ wide power ramp will easily accommodate the largest of wheelchairs, and there’s enough space to secure two wheelchairs as well. 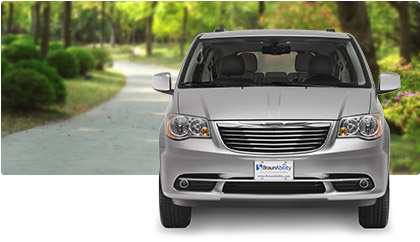 You’ll also enjoy the convenience of parking in a traditional parking space! 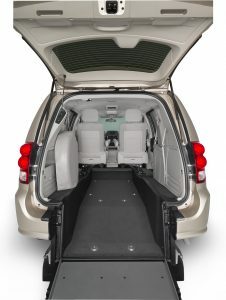 A rear-entry vehicle’s low-angle ramp makes it easy to access the interior through the rear hatch. The unique design of this mobility upgrade make it possible to use standard parking spaces when accessible parking is unavailable! Two second-row seats easily fold down for ambulatory passengers, leaving space in the rear of the vehicle for one wheelchair passenger. When folded up, the van can accommodate two wheelchair users.